Words cannot describe what took place in Wa from July 10-14, 2013. Dynamic, direct, and discerning. 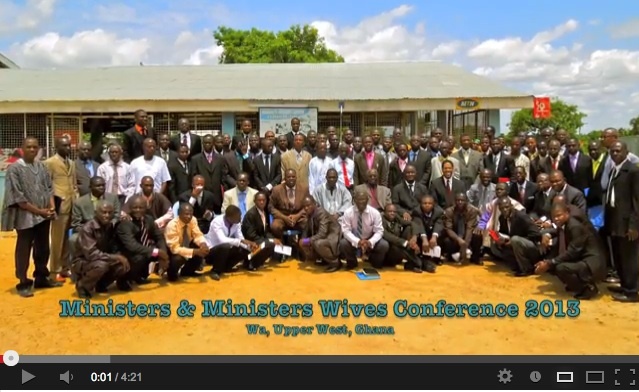 This was a powerful Ministers and Ministers Wives Conference in the Upper West region of Ghana. We are grateful for the inspirational, insightful teaching and preaching; many were encouraged. We thank God for the national leadership of UPCI Ghana and continue to serve with joy. 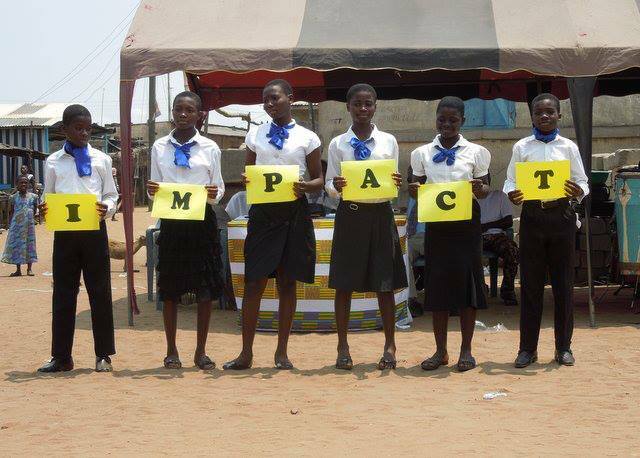 IMPACT: Individuals Manifesting the Power of Almighty Christ Together. A local youth camp yielded great results through the apostolic teaching and preaching of God’s Word. At least ten received the gift of the Holy Ghost and twenty-three were baptized in Jesus name. Check out our Facebook link below for more pictures. Thank you partners and friends for your support through prayers, giving, e-mails, letters, and phone calls – Together we are making a difference! At the first Women's Conference there were over ninety in attendance. 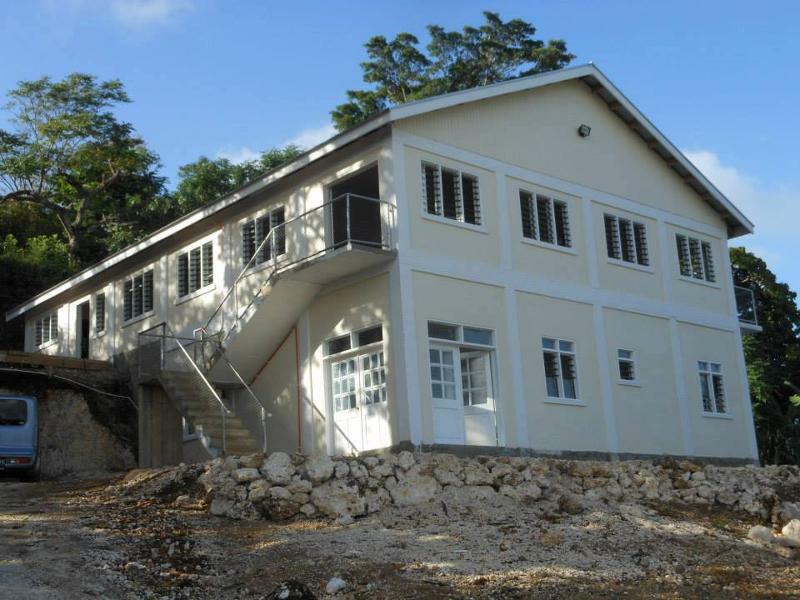 One of the newest village churches sent fifteen women. It was exciting to see the changes in their worship from the first night to the final day. God's presence met with us in a powerful way as five women received the baptism of the Holy Spirit and many were healed. The first National Men's Retreat was a success with 200 in attendance. A regional Sunday school teacher training seminar was a great success with forty-five in attendance. One church baptized four in Jesus' name and one received the baptism of the Holy Spirit on the riverbank. Throughout the country there were a total of eighty-six baptized in Jesus' name, fifty received the baptism of the Holy Spirit, and 111 reported being healed. There were also 420 Home Bible Studies taught. A local church reports forty-three received the baptism of the Holy Spirit and fifteen were baptized in Jesus' name. At a regional crusade 276 received the baptism of the Holy Spirit and thirty-one were baptized in Jesus' name. 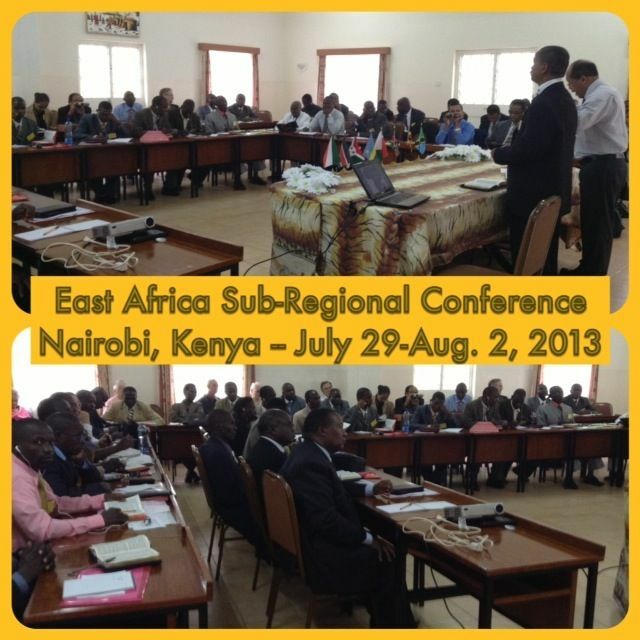 There were 375 youth in attendance at the southern regions youth conference. During a two day pastors and wives seminar many were touched and made commitments to have stronger marriages; thus stronger homes and churches. 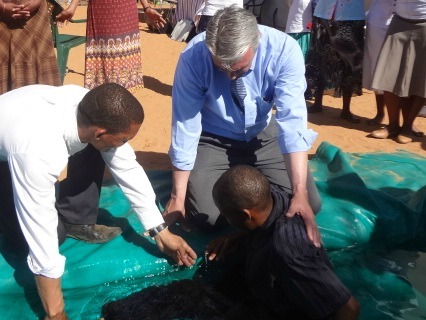 General Conference was a great success as ninety-four received the baptism of the Holy Spirit and many were baptized. A student enrolled in the Bible school in May. He soon received a revelation of One God and was baptized in Jesus' name. On his first visit home, he baptized sixty-nine members of his church in Jesus' name. One of our pastors had been witnessing to a couple with little success. The family even denied the existence of God. Tragedy struck the family and their baby died. In desperation the mother brought the dead baby to the church. The pastor was present and he agreed to pray for the lifeless baby. He prayed for three hours and God miraculously restored life to the baby. The principal of our Bible school was a guest speaker in one our churches. He prayed for the sick at the end of the service and a man who was deaf and dumb was completely healed. There were thirty-seven baptized in Jesus' name and twenty-five received the baptism of the Holy Spirit. The first day of the month prayer meetings are still taking place and bearing fruits in Jesus' name. The total of Pass the Word home Bible studies taught in four regions in the month of July was 664. One region had 140 receive the baptism of the Holy Spirit and four baptized in Jesus' name in local church services. Four were healed and six received the baptism of the Holy Spirit in the capital city. Throughout six regional conferences there were a total of 114 who received the baptism of the Holy Spirit and sixty-six baptized in Jesus' name. There were also seven delivered from demonic possession and twenty-five healed of various sicknesses. 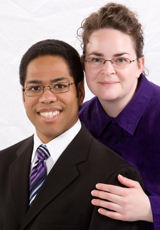 Two broken marriages were restored by the grace of God. There were 1,300 in attendance at Ladies Conference 2013 and fourteen received the baptism of the Holy Spirit. At a children's crusade forty-eight received the baptism of the Holy Spirit. General Conference 2013 had 2,200 in attendance and fourteen received the baptism of the Holy Spirit. One lady came to General Conference wearing a neck brace and had back pain. She was also a victim in the auto accident of July 2 that claimed the lives of one pastor and a pastor's wife. During one service she felt God's mighty healing power and the next day she was without the brace dancing and worshiping God. We traveled 700 kilometers, and two hours on dirt roads, to reach this newly established church. We baptized 11 people in Jesus' name this day. God is blessing Bro. Gert with help from his employer to build a church. He has been given a pickup to transport people and metal roof sheets for a church building. We will soon be taking cement and materials to this remote place so they can begin making the bricks to build the church. Crippled man walks without his crutches! God moved in a very powerful way during this outdoor service! After hearing the word of God, people came forward for healing. 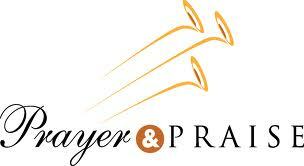 While we prayed for this weeping man, he pushed his crutches aside, and began to raise his hands and walk. 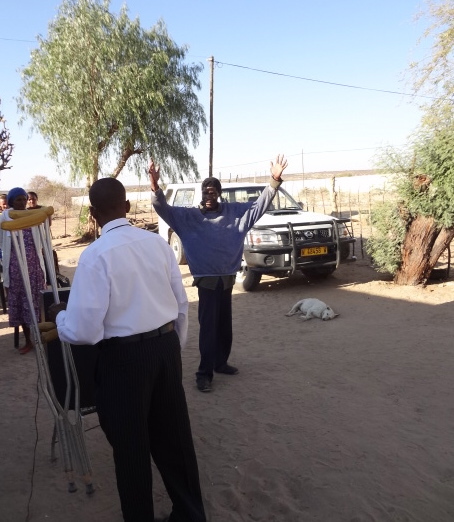 We thank God for opening this door to a new preaching point in Witvlei, Namibia. After the open air service we retired for the night on the church floor. The next morning I was greeted with lots of little smiling faces ready for sunday school at 8:00 a.m. At the end of the morning service Pastor Skrywer baptized 4 men in Jesus name! We thank God for His blessing upon this church.